Move to the country this Summer! This is a newly remodeled home with a 3 generous bedrooms, 1.5 baths, full basement, main floor laundry, 1 car garage, and a great country location. Ask us about bringing your horses! AVAILABLE APRIL 2019--Come see this beautifully remodeled and well landscaped three bedroom, two bathroom ranch on a large lot in Mahomet. The open floor plan features excellent space and there are ceiling fans in every bedroom and closet organizers too. The remodeled bathrooms allow in lots of natural light. Additional updates include custom fitted wood blinds with 'blackout' blinds for the Master bedroom plus a newer water heather. The spacious backyard has wood deck, garden, shed, and covered gazebo that could fit a band! Private feeling back yard provides lots of trees and a great sledding hill for this winter! AVAILABLE FEBRUARY 2019--This is a two unit duplex property. Two efficiency units, 2 bedroom, 1 bath/shower only, living room and effIciency kitchen. Window AC. CURRENTLY RENTED--3 bedroom, 2 bath, 2 car garage. Wood deck, partially finished basement. Great kitchen and open floor plan. Big yard and great neighborhood. 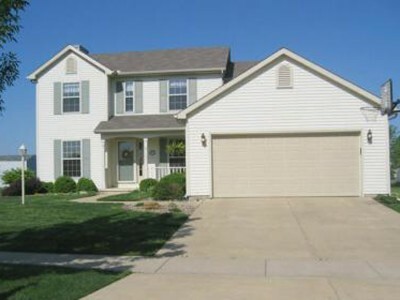 CURRENTLY RENTED --3 bedroom, den, 2.5 baths, hardwood floors,2 car garage , crawl space. CURRENTLY RENTED---3 BEDROOMS, FAMILY ROOM, KITCHEN, fireplace, pantry, laundry hookups in laundry area off kitchen, 2 bath, 2 car garage. Bonus room too!Could be another bedroom or work out room! Large yard, storage shed and Great Neighborhood! 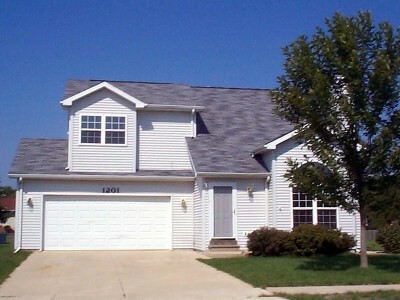 CURRENTLY RENTED- 3 bedroom, 2.5 bath, 2 car garage. Cathedral ceiling, fireplace, family room. CURRENTLY LEASED---This darling three bedroom, two full bath ranch is situated on a water frontage cul-de-sac lot and boasts an open family room with gas fireplace, an eat-in kitchen, cathedral ceilings and a spacious kitchen with Schrock cabinets. There's a built-in speaker system and this home is clean and ready for you to move right in! 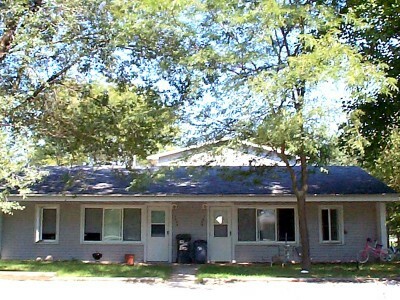 CURRENTLY RENTED ---three bedroom, 2 1/2 bath, two story units with 2 car garages. Soaring Ceilings and fireplaces. All have covered patios. Great homes and wonderful neighborhood! 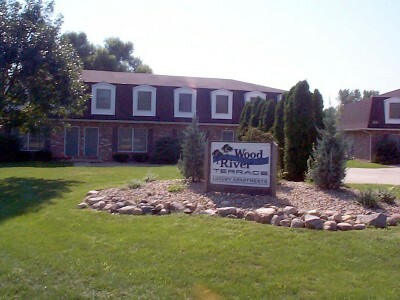 CURRENTLY RENTED---Newer construction, fireplace and lots of bathrooms! Unfinished basement that can be used for family room, workout space or storage. 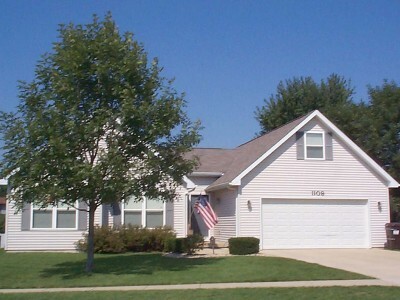 1 car garage, 2.5 baths, 3 bedrooms and that great basement! 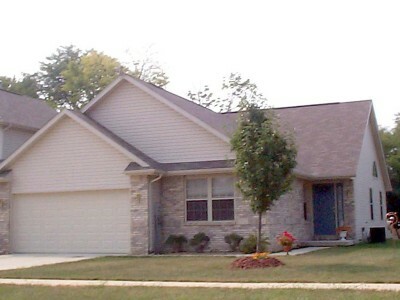 Large common yard with mature trees and landscaping. Great neighborhood! When unfinished basement is included your square footage is over 1700. 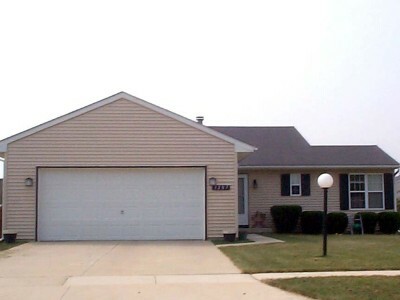 CURRENTLY RENTED----Three Bedroom, 2 bath, 3 car garage on double lot! New carpeting and hardwood floors in living room, bedroom and hallway. New AC, furnace, and water heater. Large family room with wood burning fireplace. Third bedroom is a master suite with full bath. ALL WALLPAPER HAS BEEN REMOVED AND WALLS NEWLY PAINTED! 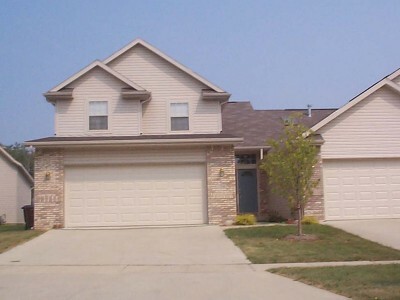 CURRENTLY RENTED - Immaculate 3 bed, 2 bath duplex with 2 car garage. Washer and Dryer Included. Great space! 1 year lease min. CURRENTLY LEASED---3 bedroom, 2.5 bath, eat in kitchen, pantry, dining room, wood burning fireplace, patio, 2 car garage, large lot and great neighborhood! Master bedroom has cathedral ceilings, walk in closet and double sinks in the en suite bathroom. A jack and jill bath connects the other two bedrooms; one of which has another walk in closet.. Upstairs laundry area will save time. 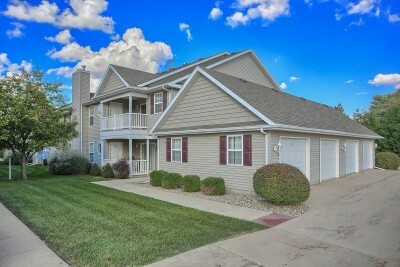 CURRENTLY LEASED--3 bedroom, split level, 2 bath house. 2 car garage with work bench, deck, yard and downstairs family room. Brand new gas stove. CURRENTLY LEASED---Nearly new zero lot line home with a popular open floor plan, three bedrooms and two full baths. Spacious living room with gas fireplace leads to an eat-in kitchen with breakfast bar and all appliances will stay! Nice rear patio for relaxing or entertaining guests. 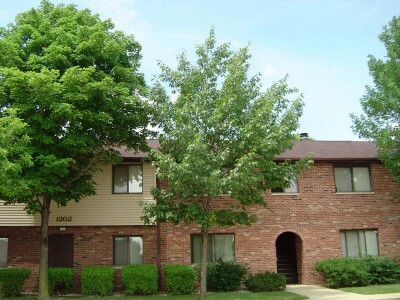 CURRENTLY RENTED---2 bedroom,open floorplan, appliance furnished kitchen, laundry room with hook ups, large master suite, 2 full baths, fireplace, 2 car garage. Average utilities $170 per month.